Great for applying waxes, sealants, coatings, polishes, etc. Comes in two great sizes: 1" x 4.5" and 1" x 5.5"
The Buff and Shine Red Foam Applicator w/Tapered Edges will help you apply virtually any product to your vehicle safely and effectively! Unlike most generic yellow foam applicators this one doesn't have those firm and ugly seams that can inhibit high quality detailing. Buff and Shine utilize's some of the high-end open cell foam that is popular in their polishing pads and made an incredible applicator pad from it. This high-end construction will provide you with superior tensile strength, improved foam ventilation and the correct firmness and shape for a more secure grip. Use it with your favorite wax, sealant, trim dressing, tire dressing, etc. The tapered edges help you apply any of these items accurately to various areas around your vehicle. 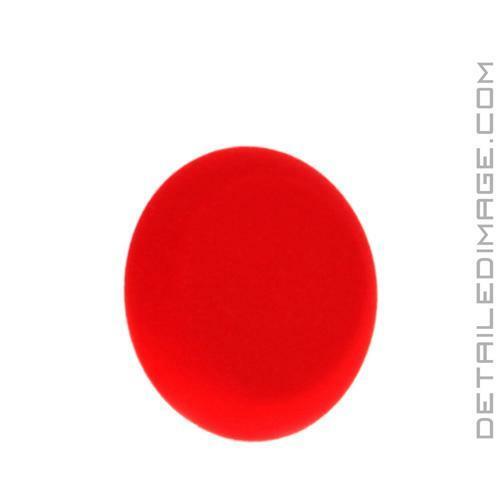 Upgrade your applicator pads today with Buff and Shine Red Foam Applicator w/Tapered Edges! I just wanted to say thank you for the speed at which your company packs and ships my orders. It is greatly appreciated.